written by Kimberlee Van Der Wall of I Have a Degree in This! 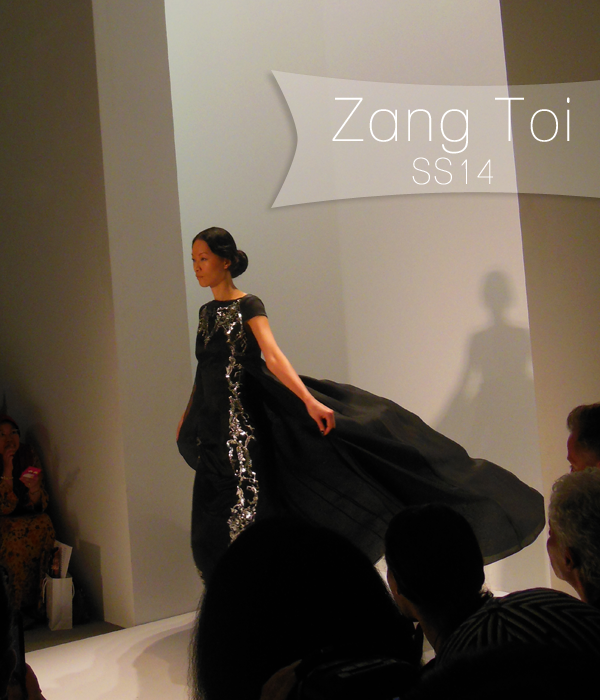 On Tuesday evening as the crowd pushed their way through the doors at Lincoln Center, I took my seat for Zang Toi. I picked up the folder which elegantly displayed the Zang Toi logo with the words "Ballet Babe" inscribed. The busyness of Fashion Week quickly fell wayside when the show opened with a male ballet dancer. The color palette was heavy on the blue. Zoya even created an exclusive nail polish collection featuring a baby blue color in it. There were also navy pieces with pops of pink peeping out. 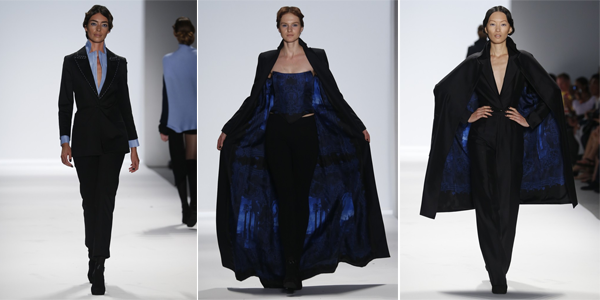 Lots of flowy silk organzas and "ballet bows" floated down the runway. The show began with non-"Ballet Babe" looks with structured oversized blazers and menswear inspired pieces. These were more of my style rather than the dresses. However, it was interesting to see so much cashmere used for a Spring collection in cardigans, scarves and turtlenecks. The show concluded with evening gowns that floated down the runway and the models spun to heighten the drama. The pieces moved beautifully and the elegant sounds played helped create a beautiful show that really creates an experience that many fashion shows lack and one must experience by being there in person. There was also lots of diversity on the runway (well... for a typical Fashion Week show), which I appreciated as well as the audience.